Aspiring athletes looking to live the winter sports dream should contemplate adding Mammoth Mountain Ski Resort onto their list of top places to visit. Considered to have the highest elevation in the Golden State, it’s a great place to fine tune one’s skills and gain exposure. On most mornings, skiers and snowboarders alike can borrow video equipment from one of the resort’s onsite, OutRide Cutting Room locations. Then hit the 150+ trails or Unbound Terrain Parks for a day of filming and ripping up powder. Afterward, the videos may be polished up using the facilities’ Mac work stations and posted online. Speaking of trails and parks, don’t be fooled into thinking that Mammoth Mountain Ski Resort is just for beginners. Sure, it has plenty of beginners’ trails and spots for the kids to discover what it’s like to stand up on skis. However, it also has great terrain for intermediate, advanced and expert winter sports fans. Some of which is sure to test even the most stalwart athlete’s mettle. Up and coming stars that want to perfect their winter sports skills even further may appreciate Mammoth Mountain Ski Resort’s other amenities as well. They include private lessons with renowned instructors, group development programs, camps, workshops and pro sports’ quality training areas. Collectively, the training areas include access to Olympic size half-pipes, athlete focused sports massages, personal trainers and modern fitness equipment. Of course living the winter sports dream requires more than just access to top-notch facilities. It also requires a chance to compete. The good news is Mammoth Mountain Ski Resort offers plenty of those as well. For example, FIS World Cup hopefuls can sign up for illustrious racing events like the Far West Masters. Snowboarding groms, on the other hand, have Volcom’s Annual Peanut Butter and Rail Jam to look forward to. This year, the competition’s qualifiers are scheduled to tentatively take place at the resort on December 14th. 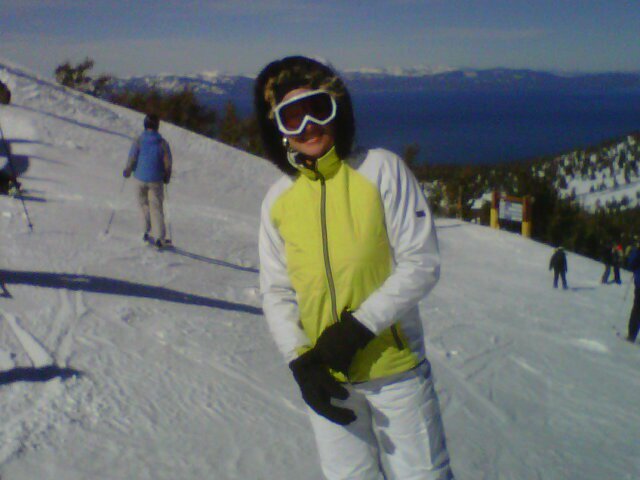 For more details on living the winter sports dream in the Mammoth Lakes area, please contact us at (855) GO-MAGGIE. “Liking” our Sierra Resort Real Estate Mammoth Lakes, California Facebook page is a great way to keep on top of area information too.